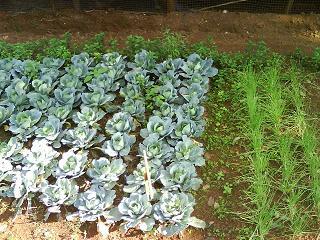 The Why and How of Organic Vegetable Gardening....Growing Organic Vegetables even in small flats and apartments is easy. We help you identify the vegetables and herbs that you should eat organic and how they can be grown easily. Now even balconies and terraces become a source of healthy vegetables for you and your family. To read this and other similar articles sign up for free newsletter by registering Free. Terrace Gardening on a Shoe-String Budget....Learn how to to make the most of what is at hand to start your very own terrace garden. We show you how to make the most of even the smallest space in your home to grow your own veggies and flowers! Register for free to read more. How to Go Green and Replenish your garden soil organically….To ensure that you eat healthy and organic it is essential that one uses organic means to enrich the soil in your garden. At the same time to effective recycle kitchen waste and help the environment by going green is an objective to which most of us our committed. Achieving these two twin objectives is now easy with our DIY kits on composting for the home. Read more and truly Go Green! 4 Most Important Steps to Choose Flower Bulbs….To produce the most picture-perfect flowers follow these 4 easy steps. Ensuring these four tips will guarantee you prized blooms this spring! Edible Flowers....Did you know that some of the common and not so common flowers are actually edible and can be used to garnish 5 star style some of your dining table dishes? We tell you which flowers are safe to use in your kitchen. Making the Most of your Garden Secateur…. The best and most valued secateurs are of course the well known brand of Felco No. 2. Choosing from the variety of models available can be a challenge. We at Groveflora recommend secateurs that have an easy fit in your hand while giving you a stable grip. Read in our newsletter to know more. Polyhouses and Green Houses Galore Come with us on our offsite trip for our members to Gharaunda in Haryana as we explore the Israel technlogy led greenhouses growing exotic vegetables including the chocolate capsicums and purple bell peppers. Taking care of House Plants in the summers....As temperatures rise, your plants should not begin to wilt. Keep them healthy and beautiful. Here are the ground rules and tips. Flower Bulbs for the summer....For the Indian summer as well, there are many flower bulbs that can be planted. You can bask in their beauty reassured that they will withstand the climbing mercury. 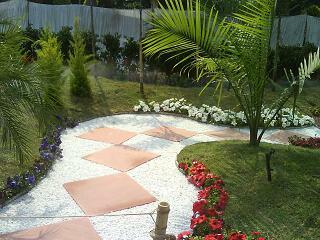 To ensure you get the scoop, subscribe to the groveflora e-newsletter for latest gardening tips in India. What to Plant this Month and how including the best flowers and vegetables for your climate zone. & contests to win free garden goodies! All in our free garden Newsletter. Sign up now for our free monthly Newsletter!